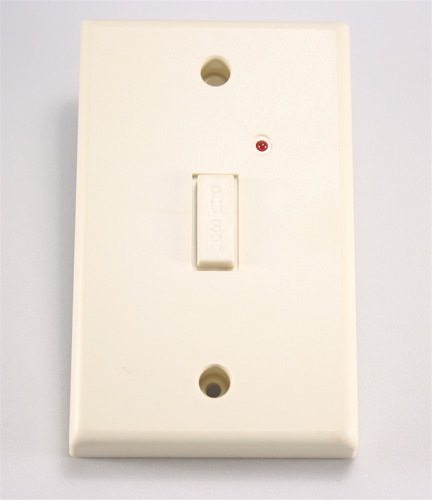 Add-on wireless wall switch for easy On/Off. No wiring required! Push button for easy On/Off from 50-ft away. 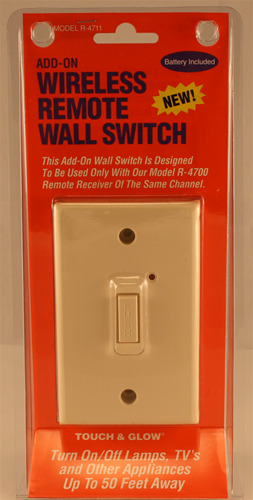 Battery operated and can be placed at any convenient location on the wall or tabletop. You must have either Models R-4700, R-4500 and/or R-4545 to work with this model R-4711.